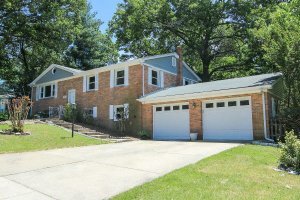 We buy houses in District Heights and around MD. Let us make a fair all-cash offer on your house. We Buy Houses In District Heights, MD In Any Condition – Price Range – Or Neighborhood! We’ll Get Your District Heights, MD House Sold FAST! We buy houses in District Heights, MD – AS IS and without delay. We live in the area, and we’ll meet you at your property, on your schedule, to make sure you get the honest assistance you need. TRUST US! District Heights, MD residents have come to know us as the local and honest people for buying houses AS IS and FAST. Instead of dealing with corporations and call centers, deal with people who actually know your neighborhood and respect your privacy. When we say we buy houses in District Heights, MD, FAIR we mean it. We’re known for making better offers than other buyers in the area. Why Won’t My House Sell In District Heights? I Inherited a House, What To Do? – Should I rent or sell in District Heights? Help, I’m behind in my mortgage payments in District Heights!